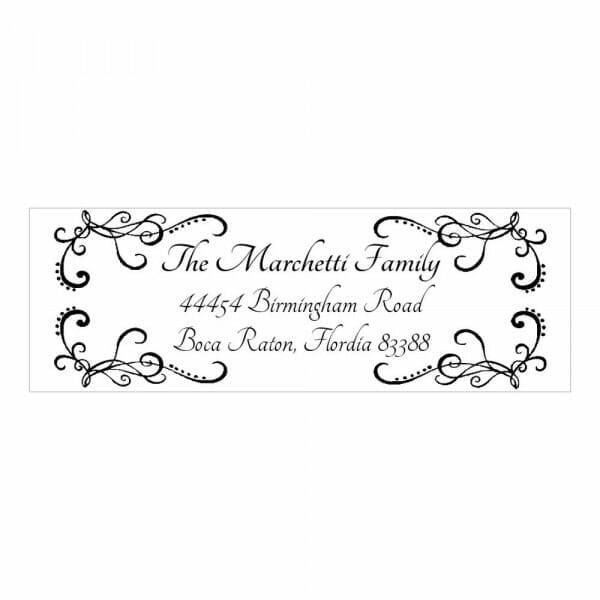 Our Curvy Borders Monogram stamp can be personalized with your name, address and your individual monogram or image. You will find this monogram stamp very useful to stamp envelopes, letterheads, cards, invitations or just use it as a return address stamp for your documents. This monogram stamp is made on a high quality self-inking stamp (Trodat Printy 4915 text stamp-1" x 2-3/4") with a replaceable ink cartridge for thousands of crisp impressions. Customer evaluation "Curvy Borders Monogram Stamp"
Trodat Printy 4911 - S-Printy - Stock Stamp - Halloween- Aaahh!